Is there another winery in California that is been so successful without any marketing whatsoever, no public relations to speak of, no public tastings, no tasting room, absolutely nothing to suggest the owners have any interest in their consumer base? 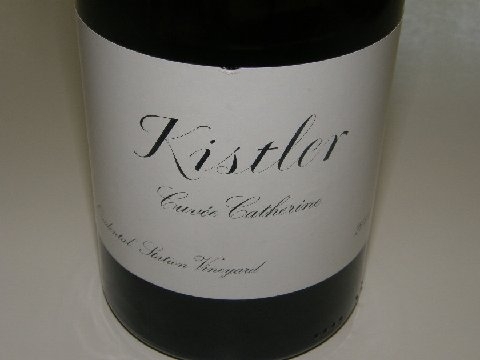 Probably the success has come through Robert Parker, Jr., who is one of the privileged few to be able to taste Kistler's wines and anoints them as royalty. That is not to say the wines are not worthy. 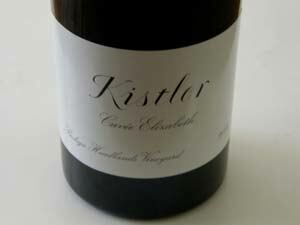 Kistler's Chardonnays set the standard for a style of California Chardonnay that is now commonplace in California. The Chardonnays go through 100% MLF, are barrel fermented and come out the other side very buttery and appealing, although their greatest attribute is as a sipping wine and not primarily a food-friendly wine. My wife and I adore the Chardonnays. The Pinot Noirs early on were highly extracted and heavily oaked, appealing to Parker's palate, but off-putting to many others especially in light of the high prices that were demanded. The winemaking style for the Pinot Noirs has mellowed in recent years to the benefit of the wines. The wines are composed of both French Dijon and heritage clones. They undergo extended maceration and cuvaison up to four weeks, and are aged 14 months in 100% new French oak barrels and bottled unfined and unfiltered. 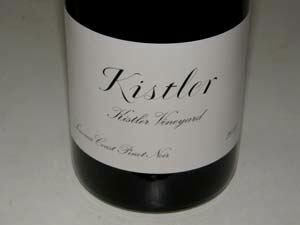 The Pinot Noirs come from low-yielding vineyards in the Russian River Valley (Kistler Vineyard) and Sonoma Coast. 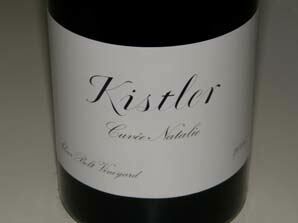 Besides a Sonoma Coast blend produced for many years, in the late 2000s small production single vineyard Pinot Noirs appeared from three coastal vineyards including Silver Belt (Cuvée Natalie) , Occidental Station (Cuvée Catherine), and Bodega Headlands (Cuvée Elizabeth). The limited Pinot Noir production is variable in amount depending on vintage tonnage, but usually about 4,000 cases annually. Not much is revealed publicly about the winery but production is probably around 25,000 cases of Pinot Noir and Chardonnay annually. Nine different Chardonnays were offered in 2009.Almost all of the wine is sold through a mailing list with allocations based on years of customer loyalty and volume of customer purchases. The list is almost ruthless in that those who do not regularly buy in significant amounts soon suffer the consequences of scrawny allowances or banishment from the list. These are wines for only the well-to-do as they start at $70 a bottle and go up to $120. The minimum purchase from each twice-yearly offering is one case. The winery was founded in 1978 and the first several years were rocky with some serious winemaking problems. Since then, success has come quickly and today all of the wine is quickly snapped up. The proprietors are Steve Kistler and Mark Bixler. Steve Kistler received a B.A. from Stanford University, studied at University California Davis and Fresno State University for two years, and was an assistant at Ridge Vineyards for two years before founding Kistler Vineyards. He serves as winemaker and oversees vineyard operations. Mark Bixler received degrees from M.I.T. and U.C. Berkeley, taught Chemistry at Fresno State University for seven years, and worked at Fetzer Vineyards for two years. 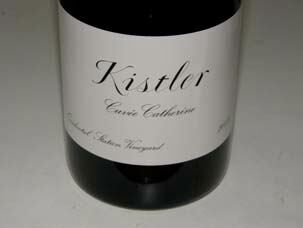 Mark has shared winemaking responsibilities, and is the chemist and business manager for Kistler Vineyards. Bill Price, who also owns a portion of Durell Vineyard and the Three Sticks label, is a majority shareholder. In July 2014, Jason Kesner was appointed the new winemaker. He was the vineyard manager at Hudson Vineyards where he caught the eye of Steve Kistler who sources fruit from Hudson Vineyards. 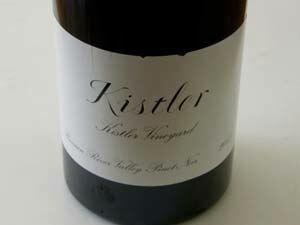 In 2008, Kesner became the assistant winemaker at Kesner. 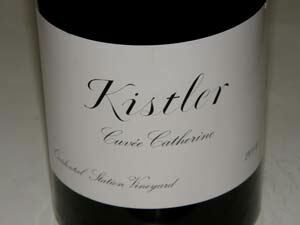 Kesner has made his own wines in tiny quantities for years. The grape sources include some of the finest vineyards in Napa and Sonoma Counties. 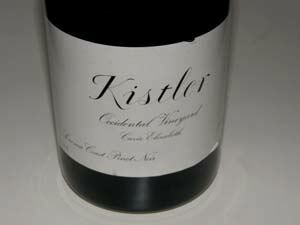 After years of planning, a new winery was built at the Kistler's Vine Hill Vineyard in the Russian River Valley in 1992. The facility is state of the art, optimized for the production of limited quantities of the very highest quality Chardonnay and Pinot Noir.